You'll love what we have in store for you! If you've been to the Candy Fair before, chances are, you're probably already expecting a bunch of fun activities and an awesome show featuring your favorite Candy cover girls and cuties. But since we're celebrating 10 fun long years of the Candy Fair, we made sure that this year will be bigger, better, and more fun! Want to know what's in store for you this year? Read on! Music fans won't be disappointed because we made sure the event is filled with awesome performances from bands we know you would love and enjoy. For starters, we got Never The Strangers who will perform on stage alongside other artists! The best part about the Candy Fair? We've got all the cute guys roaming around, ready to give you a hug and a warm smile. Aside from the fresh batch of Candy Cuties, we also have our all-time favorite hotties to grace the event so you could meet them live, in the flesh. Get excited because LA Aguinaldo will be there to host the event, as well as Andre Paras and James Reid who will be performing on stage! One thing that sets this Candy Fair apart from all the past events we've had is that we made sure you can learn while having fun with your friends! 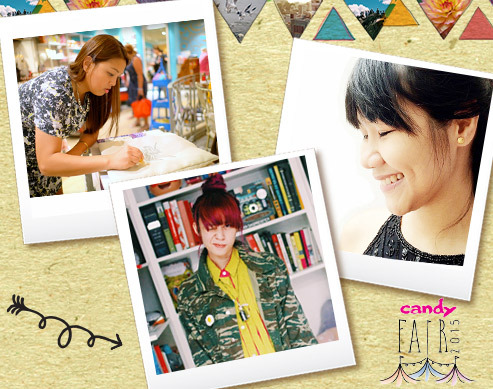 Sign up for craft workshops and creative with Alessa Lanot of Life After Breakfast, Mansy Abesamis of Hey Kessy, Reese Lansangan of Reesy Peasy, Mikko Sumulong of I Try DIY, and Anina Rubio. Remember, the biggest teen event is happen on September 12, so don't miss out! Grab your regular passes online through SM Tickets or subscribe to get moshpit tickets by clicking here. 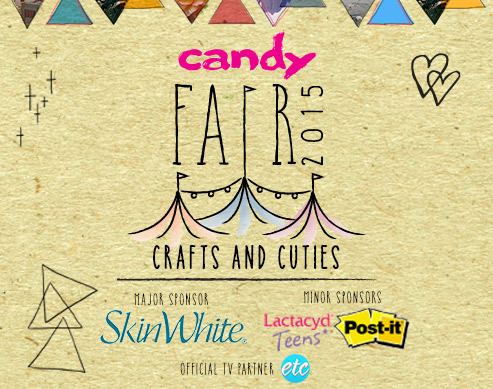 Here's How You Can Snag Candy Fair 2015 Tickets!